In 2008, I was deported from Minneapolis airport. My crime? Having books in my luggage, my own books. My interrogators logged into my social media (mySpace, back then) to check on my messages, and threatened to break my fingers, before they sent me back to London. It was one of the most traumatic experiences of my life. In 2013, government officials threatened to shut down my website if we didn’t remove all the information about superfoods that I’d spent ten years amassing, to make it one of the best superfood resources on the Internet. I spent a week crying as I destroyed a decade of work. Also in 2013, we had to remove a bunch of our best-selling products, such as Quantum Cake, and reformulate some of the others, like Be the Change, because of the illegal status of some of the ingredients they contained like the monatomic trace element Etherium Gold (no known side-effects), and the traditional Ayurvedic herb mucuna (used safely in India for thousands of years). Meanwhile, recent research in the prestigious medical journal, The Lancet, suggests chemotherapy is killing up to 50% of patients, and chemo continues to be not just legal, but paid for by the NHS. Everything that’s happening now is not news. It’s been apparent that we live in an authoritarian fascist dictatorship that is both inhuman and irrational, and is gradually diminishing our rights and our freedoms, for a very long time, way before 2008 even. 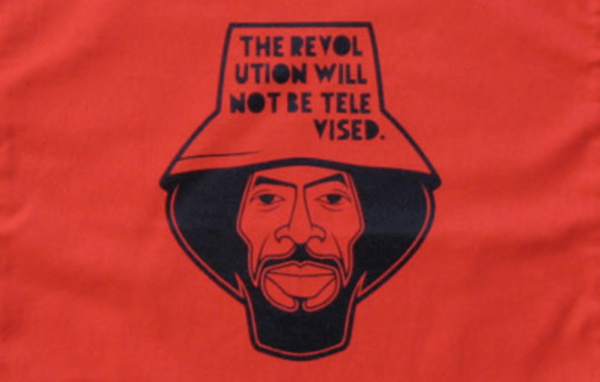 Personally, I would take it back to the Criminal Justice Bill in 1991, and I’m sure there are many who could take their own point of personal realisation that those in authority were actively seeking to block their entitlement to live an authentic liberated peaceful life back even further (Gil Scott Heron’s seminal track The Revolution Will Not Be Televised came out in 1970). The reason we are where we are is because people haven’t been paying attention. Donald Trump is not news. He is the inevitable result of decades of people choosing to take an easy path rather than dealing with the real issues at stake. He is the child, not of the ignorant, but of those who knew but chose not to act, who saw but chose not to speak out. His supporters didn’t put him there, they are in the minority. The people who don’t support him, but didn’t actively work to create alternatives, and instead buried their heads in the sand and allowed everything keep sliding in the wrong direction; they are the ones who put him there. If you were one of those people, don’t feel bad. The thing is, we are all superheroes. We all have superpowers, you just hadn’t activated yours before. Now is the time. Activate. And then you know what superheroes do? They always save the day. At the very last minute. Not half way through the movie. Not when it looks easy. They always come in, right at the end, when it looks completely hopeless and you can’t see how it could ever work out, and they just show up, with their superhero magic, and they manage to put it all right. How do you activate? You just show up every day, with love in your heart. You stop buying from corporations who destroy our world and buy instead from companies who are investing in our humanity and our earth. You simplify your life and take care of the planet by refusing unnecessary consumerism. You eat only ethical organic wholefoods, use only organic natural skincare and household products. You take care of your loved ones and make sure the people and the animals around you are all right. You take care of your body and make sure you get enough of both rest and exercise. Engage in any kind of activity that helps create the kind of world that you want to live in. That’s plenty and that’s enough. Don’t let them control you. With their media, with their fear. Tell your own story, be brave, and know that the odds of defeating the cartoon villain and letting love save the day are actually pretty high.